We visited this restaurant for mother’s day. This is a very pleasant restaurant with magnificent views. 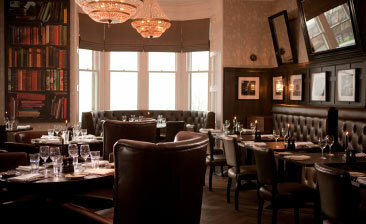 The Sunday lunch is very good value, 4 courses for around £24. There seemed to be a lot of staff who were all exceptionally pleasant. Karen, seemed to be in charge and she made us feel very welcome. The Sunday lunch, although they seem to call it brunch for some reason, was excellent, soup followed by a buffet of lots of various seafood’s including lobster and various breads meats pates etc, then followed by the main course which are mainly traditional courses such as roast beef, finished off with a lovely desert. We were so pleased that we booked to return for Easter Sunday when my son could join us. All in all, I would recommend this restaurant. On the way out we discovered a delightful little outside area which I am looking forward to visiting for an afternoon cocktail after our next visit.